Blogger “French Fry Cattaneo” wanted a portable laptop with built in SDR capability. To achieve this he opened up his Panasonic ToughBook CF-30 laptop and embedded an RTL-SDR FubCube dongle into the laptop using the space left by unused expansion ports. Cattaneo connected the two SDRs to a small hub and soldered the usb hub connections directly onto a laptop USB port. 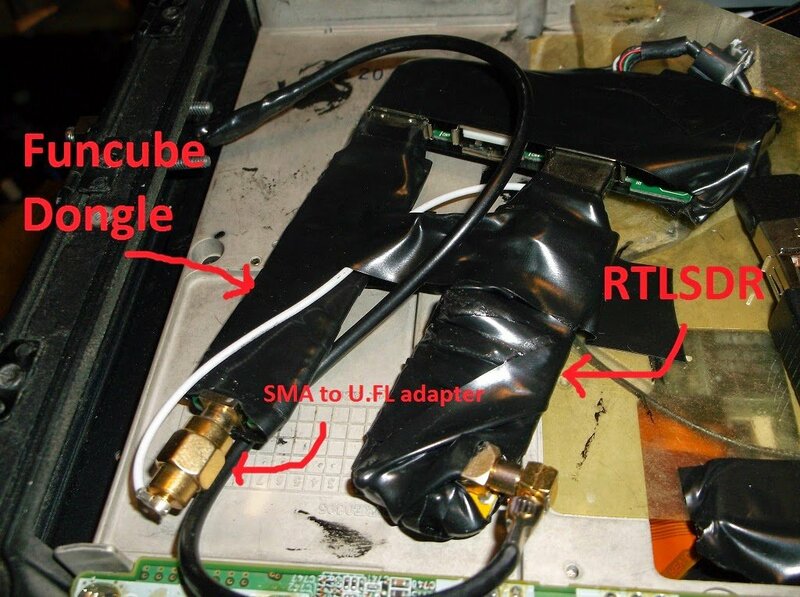 He also installed an external SMA connector for the RTL-SDR and connected the FunCube’s antenna port to a cellular antenna that was built into the laptop. He notes that there could be RF interference issues from the laptop, but has so far had no trouble receiving the strong signals he is interested in. My Asus can’t communicate with the latest software and using wrong firmware and any other software. when I install a new one so I might see system error I need tech advice to get useful methods to fix it this and asus live update other bugs.